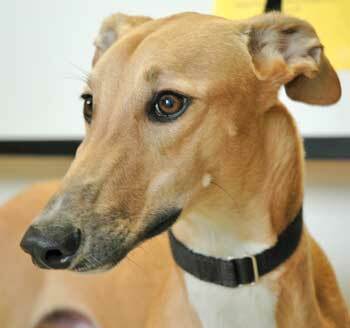 Trooper is a handsome approximately 1-year-old fawn greyhound. He was found as a stray, with no collar or other identification, and he has no tattoos. 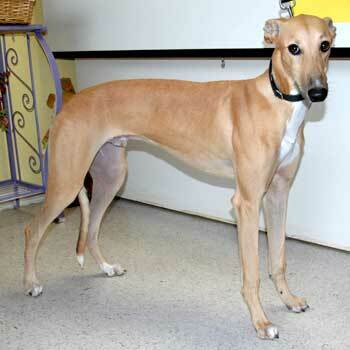 A lady living north of Dallas called GALT after she finally was able to catch him. He had been hanging around her neighborhood for several weeks, being fed by her family. Trooper's history is a complete mystery. He is a friendly fellow with oh such an innocent look! It is not known at this time if Trooper is small animal or cat tolerant.